A RESEARCH SUBJECT NAMED Orel Hershiser appears on a movie screen in an Inglewood laboratory. Hershiser is pitching the ball for the sake of science, so rather than Dodger Blue he wears only a baseball glove, shorts, socks, shoes and an array of electrodes and wires. As he throws, the upper body that looks slightly skinny on the mound is remarkably muscular and fluid. He uncoils and explodes across the screen in slow motion-frame by frame-hands, wrists, arms, trunk, hips and legs flowing together in perfect synchronization as he winds up and lets the baseball go. Gideon Ariel, right, has developed computer models, such as this oneof a tennis player, to aid in sports training. appearing on the scope. An electronics technician intently monitors the performance of these data-collection devices. Hershiser's cooperation with the scientists at Centinela Hospital Medical Center is helping define the path of athletic excellence to come. On film and on an electrical-energ ï¿½ graph, Hershiser is part of a study of human movement that seeks to enable doctors to understand how muscles function-and malfunction. The information they're gaining could allow them to diagnose and treat injuries without surgery, and ultimately help prevent sports injuries. It's just one of the experiments being conducted in biochemistry, biomechanics, psychology and even genetics that may change the way American athletes are trained, treated and expected to perform in the next century. Surprisingly, in this country, "the whole idea that science has something to do with the performance of athletes is new," says Dr. Harmon Brown, chairman of sports medicine and science for the Athletic Congress, the governing body for track and field in the United States. Americans, he says, have been slow to accept the idea of sports as a legitimate focus for research. The Soviets pioneered the field before the 1952 Olympics, traveling around the world to film outstanding athletes and study their training programs. Then, in 1952, instead of copying what they had seen, they began designing their own research. The results were dramatically apparent in the 1972 Summer Olympic Games, when Soviet athletes, who just four years before had won 29 gold medals to the United States' 45, came away with 50 gold medals, besting the Americans' 33. Equally striking was the improvement of the East German team, which won nine gold medals in 1968 but took home 20 in 1972 and 40 in 1976. That showing helped jolt Congress into passing the Amateur Sports Act of 1978, giving the U.S. Olympic Committee the authority to fund research and create an organization to raise money for scientific support programs and research committees. 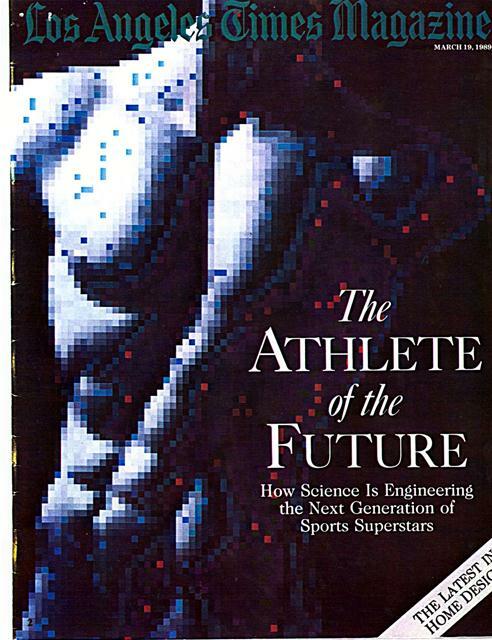 As the fledgling U.S. sports-research program begins to bear fruit, it is changing the shape and psyches of American athletes, who are feeling increasing pressure to turn to sports science not for the quick fix of steroids and illegal performance enhancers but for safe, sophisticated ways to reach their potential. What follows is a sampling of the ideas and experiments that could help create the American sports superstars of the next generation. Patricia Louerock was a member of Canada's 1976 Olympic track and field team. THE SCIENCE of biomechanics is based on observation. Watch the body perform a movement. anahze that motion and use the findings to adjust the next performance. Increasingly, scientists and coaches are using advanced technology to observe activity that is not readily visible to the eye, breaking a single motion into finer and finer parts and, theoretically, perfecting it. 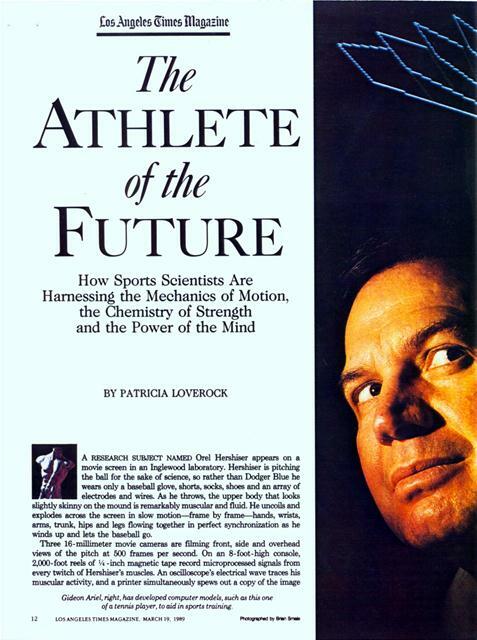 In coming decades, experts say, they'll be watching athletes move from the inside out. 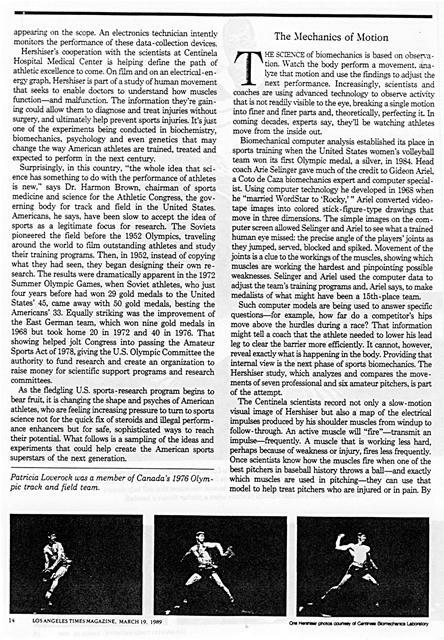 Biomechanical computer analysis established its place in sports training when the United States women's volleyball team won its first Olympic medal, a silver, in 1984. Head coach Arie Selinger gave much of the credit to Gideon Ariel, a Coto de Caza biomechanics expert and computer specialist. 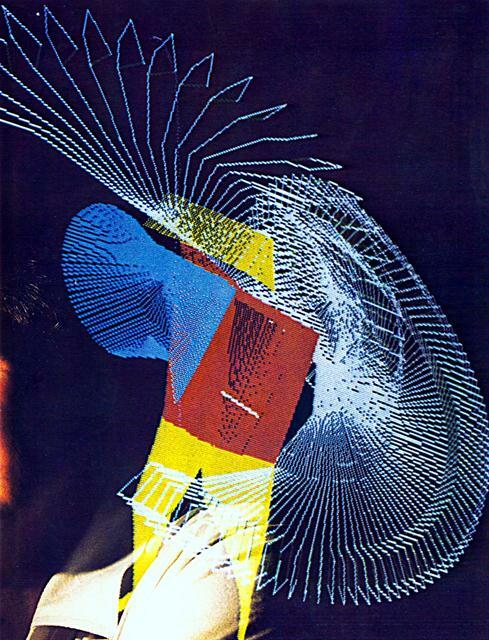 Using computer technology he developed in 1968 when he "married WordStar to 'Rocky,"' Ariel converted videotape images into colored stick-figure-type drawings that move in three dimensions. The simple images on the computer screen allowed Selinger and Ariel to see what a trained human eye missed: the precise angle of the players' joints as they jumped. served, blocked and spiked. Movement of the joints is a clue to the workings of the muscles, showing which muscles are working the hardest and pinpointing possible weaknesses. Selinger and Ariel used the computer data to adjust the team's training programs and, Ariel says, to make medalists of what might have been a 15th-place team. Such computer models are being used to answer specific questions-for example, how far do a competitor's hips move above the hurdles during a race? That information might tell a coach that the athlete needed to lower his lead leg to clear the barrier more efficiently. It cannot, however, reveal exactly what is happening in the body. Providing that internal view is the next phase of sports biomechanics. The Hershiser study, which analyzes and compares the movements of seven professional and six amateur pitchers, is part of the attempt. contrasting Hershiser's graph and those of other healthy pitchers with one produced when an injured pitcher throws, they can pinpoint the site of an injury by spotting muscles that aren't tiring as a healthy muscle would. This will allow them to spot an injury long before surgery is necessary. The no-pain, no-gain maxim applies in the lab as well as in the gym: Before the film is shot, a lab technician uses long, hollow needles as thick as toothpicks to inject fine nickel-chromium wires into eight sites in the pitcher's shoulder. At each site, a 22-inch-long wire is carried by the needle directly into the belly of the muscle, as far as an inch deep. (There is a cot in a corner of the room for those who faint during the process.) The technician gently pulls out the needles, but the wires remain. For a few seconds, the muscle aches-"it feels like a charley horse," says lab director Marilyn Pink-until the wires find a comfortable place to lodge. Once they do, they act as antennae, conducting signals to a radio transmitter Hershiser wears on a belt. The transmitter amplifies the signals and broadcasts them to an antenna across the room, which relays them to a receiver on the computer console. Every muscle twitch is recorded on tape, then appears as a glowing green jagged line on the oscilloscope screen. High, frequent peaks on the screen show the firing of the most active muscles; smoother sections with lower, less frequent peaks show when muscle activity is winding down or impaired. "If you combine the patterns we get from the computer screen with the high-speed film, you can see how the muscles are interacting with each other," says Robert Gregor, an associate professor of kinesiology at UCLA who conducts high-speed film research on college athletes. "We can slow it down tremendously, and this allows you to go through the parts of the movement. quantify it and provide any analysis that might be helpful in strengthening and rehabilitating." The goal: to be able to give athletes a kind of "instant replay" analysis so that they can make immediate adjustments in technique and training. The Dodgers are using the results of the recently completed pitching study to tailor injury-preventing conditioning programs, says Bill Buhler, Dodger head trainer. Ariel hopes to give added scope to movement analysis by using holograms, three-dimensional laser images. Sitting in his office, he envisions a scenario from the 1990s: "If I want to see Carl Lewis jumping right on this table now, using laser technology, I could push a button and he will jump. I will look at it again and again. I will stop him in the air. Then I will take my jumper and I will superimpose him and I will see where there is a difference." Ariel adds that while his two holographic jumpers are leaping across a table -top, a computer will analyze information such as the strength of each jumper's takeoff leg how high each raises his arms and legs, and how altering technique would change the performance. He may discover that if his jumper improved his leg strength by 10'c he could outjump the champion. Combined with electrical data on muscle functioning, such 3-D analysis could take the guesswork out of training. 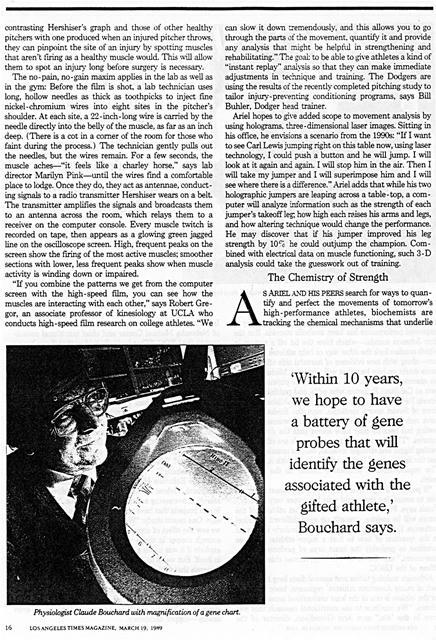 `Within 10 years, we hope to have a battery of gene probes that will identify the genes associated with the gifted athlete,' Bouchard says. Physiologist Claude Bouchard with magnification of a gene chart. Generated on 4/20/2019 11:14:29 AM (PST) ADI/HQ/GBA/2019/ARIELCLOUD/v3.0.2018.0126.